Add this Van Nicholas Amazon Rohloff Titanium Touring Frame inc HEADSET to your basket for more information. 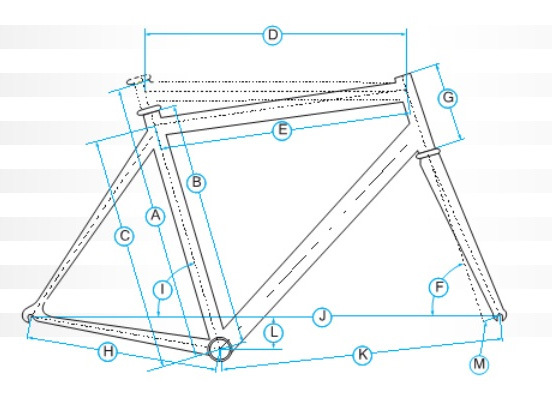 Have you found the Van Nicholas Amazon Rohloff Titanium Touring Frame inc HEADSET Cheaper? You can now spec the Amazon with the award winning enclosed 14-gear Rohloff hub for smooth, almost unnoticeable shifting. Practically bullet proof, it means you can do away with the rear mech and cassette thus reducing maintenance – handy if your adventures take you hundreds of miles from the nearest repair shop! The Amazon Rohloff’s drop-out and cable guides differ from the standard bike and the decals are silver instead of blue. The geometry of the Amazon has been designed to provide day-long comfort and stability under load, whilst still offering rewarding handling for a faster ride. The Amazon is our touring/upright road and Audax frame that can be configured in a multitude of variations to meet your performance and riding criteria. Complete rack and fender braze-ons, with ample tyre clearance allows you to use and attach anything that your riding requires. The frame is cantilever and V-brake compatible as well as having three sets of water bottle bosses. Full 3Al/2.5V seamless Titanium construction using aerospace-grade, cold-worked, tapered and size-specific and multi-shaped tubing with CNC machined detailing. Available in 50, 52, 54, 56, 58 , 60cm & Tailormade. When your travels take you far from civilization, a third water bottle is a must. What do you think of Van Nicholas Amazon Rohloff Titanium Touring Frame inc HEADSET?